Evolutionary biology – what is it good for? Home / Evolutionary biology – what is it good for? And can it guide conservation decisions? Ongoing evolution will be critical for the persistence of biodiversity under global environmental change. That’s a big idea but there is little disagreement about this principle among environmental researchers, policy makers and managers. How does this principle translate into practice? Unfortunately, the integration of evolutionary biology into environmental policy and management has proved challenging and often lags behind ecology. Part of the reason for this lag has been the inability of conservation policy, which traditionally has focussed on species, to engage with genetic variability, the well spring of evolutionary change. Part of it has had to do with the time and expense of monitoring and analysing genetic material. However, in recent years there has been many technological and conceptual advances in evolutionary biology that are ‘game changers’. In particular, the rapidly decreasing cost and time requirements for DNA sequencing mean that genetic data are increasingly accessible to inform environmental decisions and to evaluate the evolutionary consequences of their outcomes. So, what’s possible and why bother? Consider these recent investigations and their potential to inform policy and management. The first two case studies show how new methods for understanding evolutionary diversity can be used in conservation planning. The diversity and distribution of biodiversity is core information for the environmental management and decision-making process. The last two illustrate how a knowledge of genetic variation can directly feed into conservation management. ANU researchers have recently used genetic data to understand the evolutionary diversity of lizards across the monsoonal tropics of Australia. (Rosauer et al, 2016). Aside from discovering that northern Australia’s biodiversity was much more complex than expected, they were able to identify geographic regions where reptiles are particularly distinctive in an evolutionary sense. 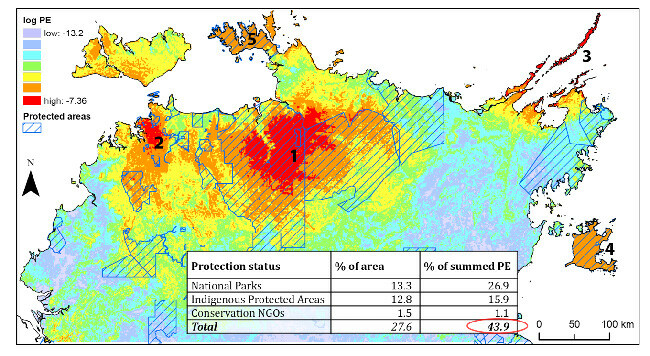 Although conservation reserves in the Northern Territory’s ‘Top End’ occupy 28% of land area, they protect 44% of these lizards’ evolutionary diversity (see Figure 1). This information is currently being applied to conservation planning by the WA Department of Parks and Wildlife. The approach applied here uses phylogenetic information in conservation planning. In doing so it sidesteps the arguments about where to draw the species boundaries in order to capture ancient as well as adaptive variation so important for conservation. In contrast to tropical lizards, the diversity of some ecological communities, such as soil microbiomes, has been largely invisible. But that’s changing with the recent advent of new DNA-based approaches. Soil microbial communities are among the most diverse and important biological systems on earth. A gram of soil can contain one billion microbes and these tiny ecosystem engineers provide a raft of ecosystem services such as carbon sequestration, nutrient cycling, decomposition and water purification. ‘Metagenomics’ has recently allowed the measurement of both the evolutionary and functional diversity of these organisms across Australia as part of the Biomes of Australian Soil Environments initiative (Bissett et al, 2016; and see http://www.bioplatforms.com/soil-biodiversity/). Soil microbes have not featured strongly in environmental policy and management until now, but the knowledge from this project is opening new opportunities to measure, monitor and manipulate soil microbes to achieve improved outcomes in conservation, ecological remediation, biosecurity, forensics, minerology and agriculture. An understanding of evolutionary processes can be incorporated directly into conservation policy and practice. For example, a hotly debated question in the management of small populations of threatened species has been whether to mix genetically divergent populations to maximise diversity and adaptive capacity. Some biologists believe there is a risk that doing so could render the population less suited to its local environment. Scientists from the University of Melbourne and LaTrobe University translocated a handful of mountain pygmy possums from a large genetically diverse population at Mt Hotham in Victoria to small population at Mt Buller (Weeks et al, 2016). The Buller population had been declining as a result of inbreeding. Progeny from these males were larger, fitter and more genetically diverse which has resulted in the Mt Buller population growing by 50% each year since 2012. 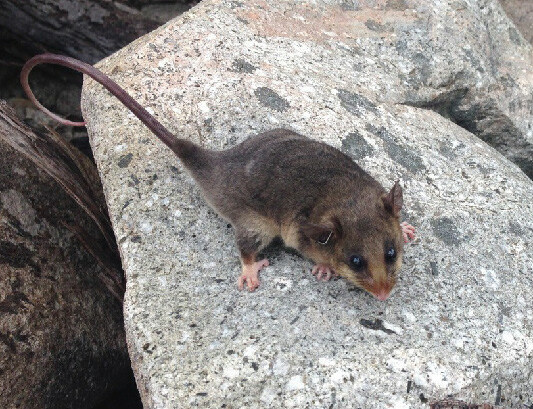 Today there are more mountain pygmy possums on Mt Buller than when they were first discovered in 1996. This approach is now being incorporated into recovery efforts for several other threatened mammals where a lack of genetic diversity is likely to compromise recovery efforts. 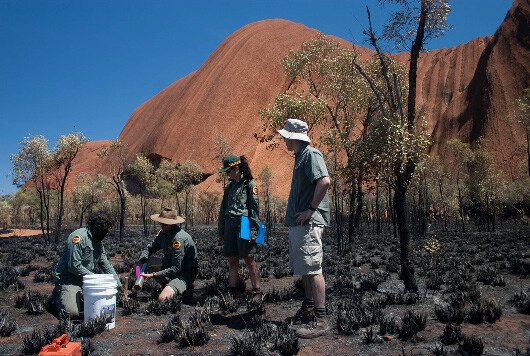 Innovative research collaborations on the genetics of eucalypt restoration have addressed the issue of ‘assisted migration’ to facilitate climate-change adaptation. Eucalypts are foundational species in many Australian landscapes, and restoration of eucalypt woodlands is a key conservation activity. While the ‘local-is-best’ perspective has been pervasive in plant restoration, a new strategy aims to maximise adaptive capacity in restoration projects. This approach, called ‘climate-adjusted provenancing’ involves introducing seed from populations in the direction of climate change into restoration efforts, as these populations are likely to have seeds with adaptations to future climates (Prober et al, 2015). Adaptation across climate gradients has been shown in red ironbark (E. tricarpa) (Steane et al, 2014) and is currently being investigated in other foundational tree species such as yellow box (E. melliodora), a key species in the critically endangered Box-Gum Grassy Woodlands, and jarrah (E. marginata), the main forest species of south-western Australia. These case studies highlight a critical role for evolutionary principles and insights in conservation decision making. Effective engagement of managers and scientists enables the integration of evolutionary biology into conservation management and policy thus maximising long term persistence of our iconic plants and animals. Evidence-based policy that draws on fundamental principles in evolutionary biology will provide a foundation for cost-effective management of Australia’s environment. So, there’s no longer any excuse for not making better use of evolutionary biology when it comes to safe guarding our precious and unique natural heritage. *This editorial arose from the recent Annual Conference of the Centre for Biodiversity Analysis at the ANU, Canberra, in which a diverse group of researchers, conservation policy makers and practitioners discussed the interface of evolutionary biology and conservation policy and management. Discussions highlighted how recent breakthroughs in genetics have helped to overcome barriers to integrating evolutionary principles and insights into environmental policy and decision making. A number of pioneering collaborations were discussed that showcased how new thinking and techniques in evolutionary biology have generated important developments in conservation policy and improved management outcomes. 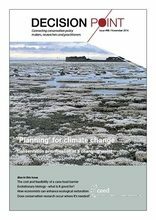 Sam Banks (a CEED associate) led the creation of the editorial with assistance from Justin Borevitz, Linda Broadhurst, Margaret Byrne, Sue Fyfe, Tania Laity, Craig Moritz, Adrienne Nicotra, Dan Rosauer, Megan Supple, Andrew Weeks and Andrew Young. Bissett A et al. (2016). Introducing BASE – The Biomes of Aust Soil Environments soil microbial diversity database. Gigascience 5: 21. Prober SM et al. (2015). Climate-adjusted provenancing: a strategy for climate-resilient ecological restoration. Frontiers in Ecology and Evolution 3: 65. Weeks AR et al. (2016). Conservation of genetic uniqueness of populations may increase extinction likelihood of endangered species: the case of Aust mammals. Frontier in Zoology 13: 31. What’s the cost and feasibility of a cane-toad barrier? How and at what cost?